45-year-old Kailashben is a resident of a village in Gandhinagar, Gujarat. She lives with her husband and two sons who subsist on a monthly income of Rs. 12,000. Kailashben runs her own dairy enterprise where she sells milk, buttermilk, cheese, and other milk products. She has taken on the challenge of scaling up her business for which she needs to invest some money. However, her current savings do not allow her to make the large one-time investment she requires. This loan will go a long way in securing a future for her children and also be able to save more for family exigencies. She expects her monthly income to go up by Rs. 2,000. To further her goal, she has joined with four other women who are also entrepreneurs. Collectively, the seek a loan of Rs. 105,000 to expand their respective businesses and increase their earning capacities. 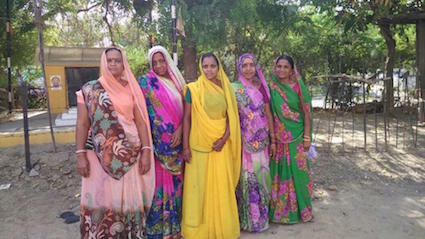 Lend today to uplift these female entrepreneurs and their families. Congratulations to Kailashben in India..!